To help you guys get the perfect A/W18 silk slip skirt style, I’ve started with an edit below of the best jumpers to team with them. I mean, it’s not as easy as it sounds, the jumper needs to big slightly loose, as tight ones just don’t work, but not too big as your’ll need to carefully tuck in the front and they let it effortlessly billow around the sides and back. 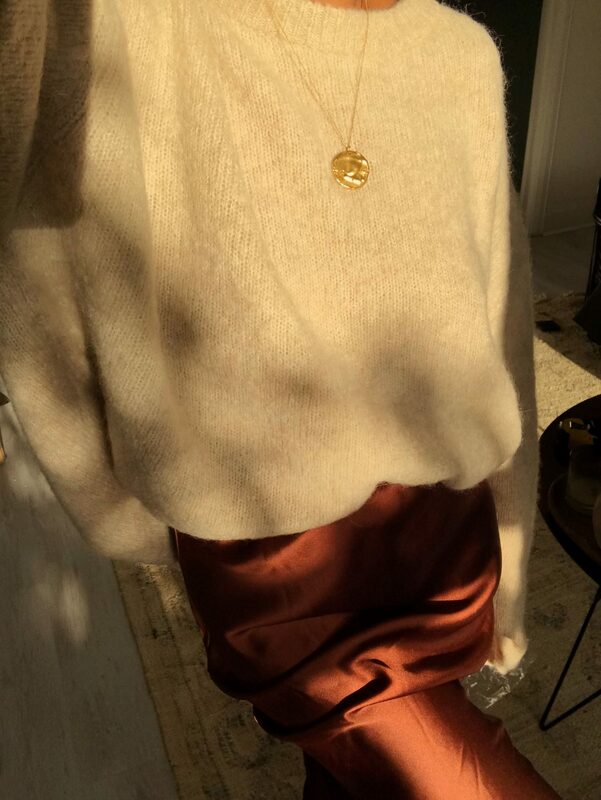 So to get you guys silk skirt outfit ready, shop the edit of the perfect 12 jumpers below.